As the NHS’s financial regulator hires a new chair, the destination of its outgoing chair is if anything more noteworthy. Ex-TalkTalk CEO, Dido (Diana) Harding is to take the reins at the NHS’ financial regulator. 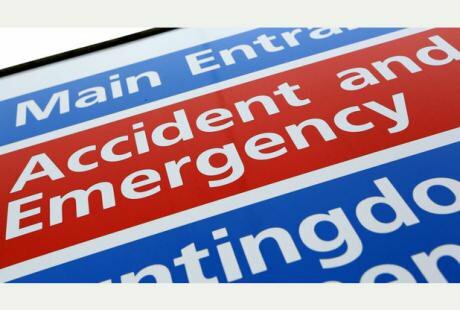 NHS Improvement (formed of a merger of Monitor and another NHS regulator) is the body that, while imposing punishing cuts on the NHS (with NHS England), makes senior hospital chiefs, who barely have their heads above water, chant affirmations – 'we can do this' – over A&E targets. What do we know about Harding? She comes from the tech world, which makes sense. The government is sold on the idea that tech can ‘transform’ the NHS (‘transform’ in this context meaning shifting patients to digital, probably paid-for, services). Related to this, Harding’s also been at the helm of a company thrown into crisis by a massive data breach. TalkTalk was hacked in 2015 and the personal details of 150,000 customers stolen, which led to the firm being fined a record £400,000 for security failings. Whether or not TalkTalk learned from their mistakes is a moot point – and of course the the NHS sits on a mound of sensitive data of its own. Harding herself is, of course, an alumni of McKinsey, albeit a long time ago and not for long. A connection with the Firm, though, is obligatory at the regulator, which is widely seen as a McKinsey creation. Harding is also a well-connected Tory. Elevated to the Lords by David Cameron, with whom she studied politics at Oxford, she’s married to John Penrose, Conservative MP for Weston-Super-Mare. This might be problematic down the line. Penrose says he’s worried about the future of the town’s hospital. Weston General has already seen its A&E close overnight and maternity services aren’t thought to be, in NHSI speak, ‘financially viable’. On top of which Penrose’s constituency is in one of 13 regions earmarked for extra cuts under the ‘capped expenditure process’ being enforced by NHS England and NHS Improvement. Now it’s his wife holding the axe, how loudly will Penrose protest? Perhaps more interesting than Harding’s arrival, though, is where her predecessor Ed Smith has landed. In an odd coincidence, Harding was confirmed as chair of NHSI at lunchtime on Monday and at seven o’clock Tuesday morning, it was announced that Smith is to join the board of primary care property developer Assura. Assura’s website describes the firm as ‘the UK’s leading healthcare Real Estate Investment Trust’, which both builds and manages GP surgeries and primary care centres. Assura is one of the big winners from the current reforms being pushed through by NHS leaders. This is because services across the country are being shifted from hospitals and into primary care settings, such as expanded GP surgeries. Most of the 44 regional Sustainability and Transformation Partnerships include such plans. And of course NHS Improvement, with NHS England, are ‘working closely’ with – which is to say, forcing – these Partnerships to ‘strengthen general practice’. Earlier this year, Assura said it ‘looked forward optimistically at NHS plans to build more doctors' surgeries’. It is also ‘pleased’ by the government’s decision to create a multi-million pound fund to make it happen. Assura is so optimistic it hiked its quarterly dividend 9% in February. That’s the NHS budget flying into the pockets of shareholders. Hospital trusts meanwhile are under pressure to balance the books by hook or by crook. Just yesterday NHS Improvement was criticised for the immense pressure it is putting on hospitals to publicly support cuts that aren't achievable, leaving experienced hospital finance chiefs 'feeling bullied'. Hospitals are pleading for cash – but Theresa May has pointed them to the Naylor review which recommends selling off and closing hospital buildings to raise money. Smith – who spent 30 years as a senior partner at PWC – has a ‘wealth of business experience’, which Assura chair Simon Laffin comments ‘will stand us in good stead’. Smith himself also currently sits on the board of NHS Property Services. This is the government-owned firm that holds much of the NHS’ primary care estate (and more) and which is now charging exorbitant market rents to GPs, forcing some to close. As NHS Property Services says: ‘Ed [Smith] has a unique insight into the priorities and issues facing a large part of NHS Property Services’ customer base.’ I’ll say. And of the two new hires, I think Smith’s is the more notable.